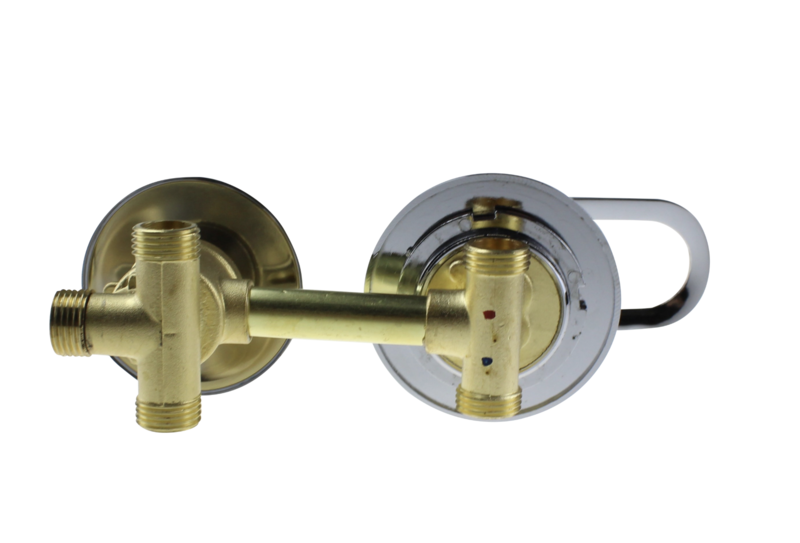 Mixer shower valve (does not require a thermostatic shower cartridge) with 2 chrome dials. The lower chromed dial adjusts the temperature and flow of the water by rotating and lifting. The upper dial enables you to select one of three different water outlet options in you shower. The outputs are threaded 1/2" (15mm) type. 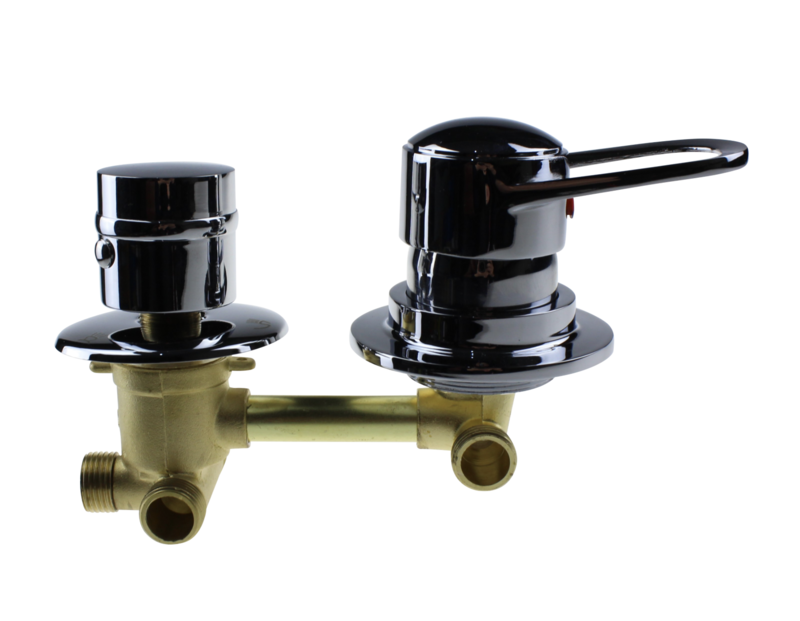 The water input ports are also 15mm threaded. The valve required water pressures between 1-3 bar. Distance between the centres of 2 dials is 140mm. 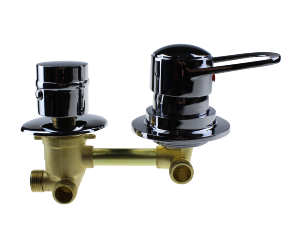 Please note our valves can arrive 'wet', this is not because they have been used, but simply that they are tested after production and occasionally water remains inside the item, with can find it way out whilst passing through the postal system on its way to you.